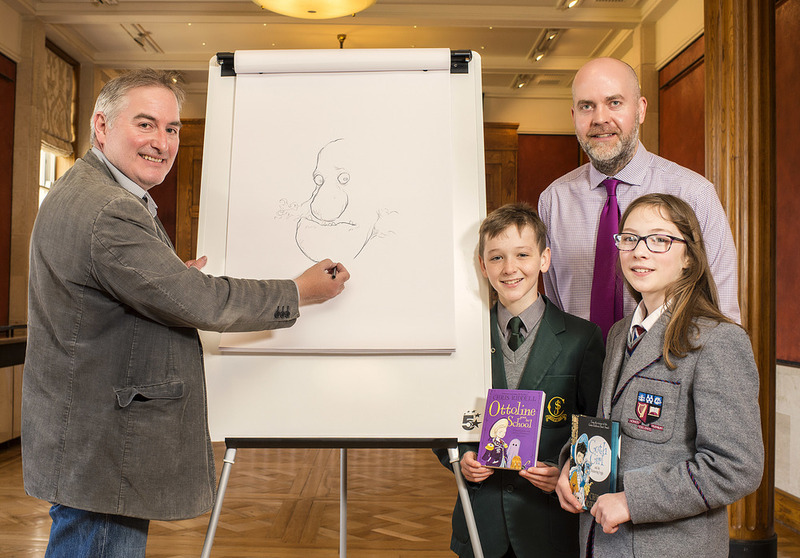 On Wednesday April 27th, three lucky pupils and College Librarian Mr McDonald were invited to Parliament Buildings, Stormont, to meet the current UK Children’s Laureate Chris Riddell. Chris is an author but is more widely known as an illustrator. His illustrations for children’s books have won many awards including the Kate Greenaway Medal twice; he is also the political cartoonist at the Observer newspaper. Posted on May 3, 2016 by N McAleenan and filed under Experience.